Have you been there? You start to notice many of your conversations get derailed because your basic language and labels are triggering a radically different frame for other people. At first you resist the implications, thinking all that’s needed is more education or better communication. Then, if you are listening well, you come to realize you’re spending more time defending ‘your’ term than you are applying it. Your language has become counter-productive: It is interfering with what you’re trying to communicate. I am there now. I have concluded ‘social marketing,’ as I know it, is dead. 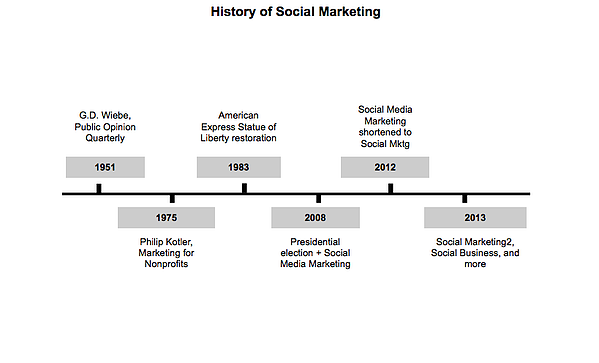 It is, in fact, past time to rename, reframe and rebrand social marketing. This is not a call for the redefinition and renaming of a field changing in response to its environment, which is common in academic circles. This is unusual — a call to label differently a thriving and proven framework for theory and practice. How did it happen? Academic journals sprang up, research and best practices for effective social marketing evolved, and in the field of public health and other ‘social good’ sectors, respected practitioners like Nedra Weinrich and Craig LeFebvre emerged. The discipline was solidly established by 1982 when I left the nonprofit sector to start my business. 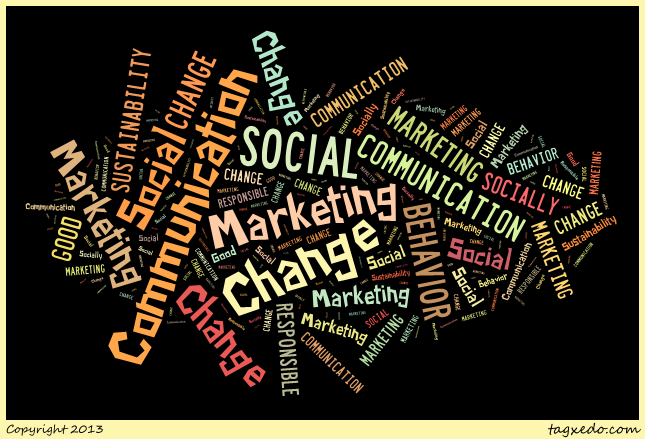 Since then there have been periodic confusions and challenges to the classic social marketing frame. Cause marketing presented one of the earliest. The 1983 American Express Statue of Liberty restoration campaign, where a for-profit business partnered with a non-profit organization for mutual benefit, is still used in university classrooms today as a classic example of cause marketing. Social marketers and many large corporations recognized the distinction between the primary motivation driving the two distinct approaches, but there were many examples of trade publications, the popular press and small businesses confusing social marketing and cause marketing. But by 2009 there was an explosion of social media channels, and the resulting rise in the terms social media marketing and later what I will refer to as ‘social marketing2' only increased the confusion. As social media marketing rose in popularity, it became more and more common for the term to be abbreviated as social marketing. Many of us resisted and clarified the appropriate term every chance we got. There are also those who began to refer to communications from social enterprises and customer-attentive ‘social businesses’ as social marketing. By June 2013 there was an open debate about whether or not the term ‘social marketing’ had any value in its traditional sense. Marketers know what to do when a brand name has been damaged, but that’s not the case here. What do you do when your ‘brand’ name triggers an all-but-irrelevant frame? How do you reframe and rebrand to communicate what is different about this approach that uses commercial marketing techniques for social good? To me, the critical issues are purpose and trust. Although marketing strategies and tactics evolve over time, we live in a culture of increasing inequality, corporate influence, green washing, excess consumerism, and media saturation. Can the public be expected to trust a profit-driven corporation’s behavior change program, or a nonprofit’s fundraising campaign, in the same way you do a program designed and implemented solely for the social good? The social marketing framework needs to be labeled differently — renamed —now. Here are a few options for further discussion. * These are the current frontrunners for me. Your thoughts? Please connect with me to share a comment.